The In-Car Voice Assistant Consumer Adoption Report published this month found that 57.6% of U.S. adults expect to use voice assistants more frequently while driving in 2019. Only 4% of drivers that have tried a voice assistant in the past expect to decrease use. This correlates closely with the more than half of drivers that believe in-car voice assistants have improved over the past two years. The results come from a national survey of U.S. adults conducted by Voicebot.ai in conjunction with Drivetime.fm and Voice of the Car Summit. If consumers are using voice assistants more while in the car, it would be logical that some of them would start to consider voice access an important feature. The survey results suggest this is the case today. Sixty percent of consumers that have used a voice assistant while driving say the availability of a preferred assistant is now a factor in their car buying decision. The majority of those, 32.9%, still say it is a minor consideration, but nearly 20% consider it either a significant consideration or requirement. The idea of “table stakes” or minimum requirements to be competitive is likely why car manufacturers such as Mercedes are including up to four different voice connectivity options in the car. These include a native assistant provided by Mercedes that leverages capabilities of both Nuance Dragon Drive and SoundHound, along with Apple CarPlay, Android Auto, and Bluetooth connectivity to a smartphone. Industry professionals say that automakers would prefer to have consumers use the voice assistant provided with the car in most cases, but are providing multiple options because they want to provide features that influence consumer purchase decisions. It looks like access to your preferred voice assistant is starting to become one of those features. 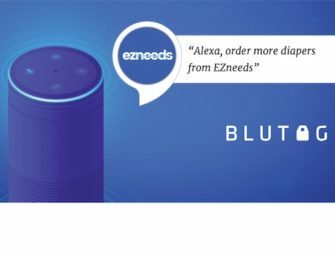 You can download the full report that includes 17 charts and over 30 pages of analysis of voice assistant use in the car by clicking the button below.